It is the type of car you might not initially think about when it comes time to find a new vehicle. Despite its unassuming reputation, the 2018 Chevy Sonic is actually a great competitor in the subcompact market. This is the car many people are attracted to when they want something small and affordable without giving up some convenience and safety features found on larger sedans. For anyone wanting the most amount of fuel efficiency before getting into hybrid and all-electric cars, the Sonic is also a great option to consider to save some money at the gas station. In short, the Sonic is meant to be a commuter that offers just a little bit more than the competition. If you find yourself driving around the city or small rural environments often, the Sonic is a great choice for better fuel economy and light performance under the hood. For the 2018 model, Chevrolet has done a good job of getting the most out of a normally underpowered engine and drivetrain. Coming with a turbocharged 1.4L powerplant, this is the type of subcompact to choose for great fuel efficiency. It isn’t uncommon to reach fuel ratings of 28 MPG city/37 MPG highway without the use of an electric motor and battery system. It is also one of the few affordable, modern models on the road that still offers a manual transmission option for those who like the old-school feel of shifting on their own. For 2018, the Chevrolet Sonic starts with a price tag of $15,295. Just because it is small doesn’t mean the Sonic will leave you hanging in the convenience department. The interior feels like it is much larger than it really is. Filled with a number of convenience features, many standard, you will find several touches of luxury for a price much smaller than other premium vehicles. This makes the Sonic a great purchase if you want more for your money than the competition can provide. Most people find the Sonic’s interior to be much larger than its subcompact status would suggest. Overall, the interior is geared for more comfort and convenience than barebones function. The steering wheel is fully tilt-telescopic to adjust the wheel to the driver’s liking. The seats themselves use a number of different standard and optional fabrics for the most amount of comfort possible in the car’s small frame. The real attractive feature of the Sonic is just how many advanced options come on a vehicle of this size. To make sure it is keeping up with modern automotive trends, Chevrolet has included a number of advanced convenience features. A power driver’s seat and heated steering wheel upgrade the interior driving experience to a level normally reserved for luxury vehicles. Using Chevrolet’s MyLink audio system, the car is also compatible with both Apple CarPlay and Android Auto as well. These systems allow any occupant to control the music, navigation system, and phone system with voice control alone. It is important that a small subcompact car has the right safety features since it is a rather small fish in a very large pond. 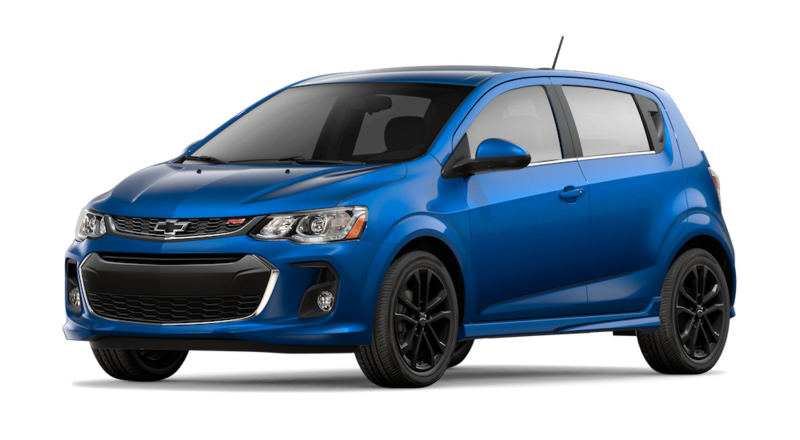 With that said, the 2018 Chevrolet Sonic will not disappoint when it comes to protecting you and your family out on the road. A good combination of passive and active safety systems will keep you secured in the event of a crash while actively trying to prevent an accident in the first place. How? Better driver awareness combined with automatic response features make this a safer car than most. One thing that has been a welcomed addition to the 2018 Sonic model year is an array of new safety features that are standard across the trim lines, meaning you can drive the vehicle knowing you will be safe no matter what option you choose. The safety feature set starts with a number of class-leading airbags around the front driver and passenger, along with the passenger sides, totaling ten bags altogether. Smart design features such as collapsible pedals protect the body from some of the car’s components during a crash. The active safety systems start with an array of features that improve overall handling and traction. Electronic stability control works to promote traction in the front wheels whenever the car is driving over challenging terrain or in bad weather conditions. Anti-lock brakes also help to keep the car from seizing up when stopping in such conditions as well. Optional safety features include a number of Chevrolet’s advanced driver awareness features. A forward-collision alert system will signal and activate anytime another vehicle is detected in front of the Sonic. Lane-departure warnings and rear parking assist sensors also help to expand the driver’s awareness by covering general blind spots in tricky driving situations that can lead to serious accidents. You might not expect the Chevrolet Sonic to win top marks in the performance category. If you are expecting this subcompact vehicle to be a road warrior performance car, then you would be right in being disappointed. Compared to other subcompact vehicles, however, the Sonic stands out as a great, fuel-efficient option that does not make any sacrifices in the speed and acceleration department. In other words, this little vehicle promises to zip you around town without fail. As a small subcompact car meant for better fuel efficiency on the road and in the city, you will find the Sonic’s engine to be geared for this purpose. “Small and light on power” are just a couple of ways you can understand the four-cylinder engine that drives the small frame of the Sonic. The turbocharged, 1.4L powerplant uses Chevrolet’s Ecotec technology to keep everything running smoothly for the small frame. Capable of putting out a maximum of 139 horsepower at 4,900 RPM, this is a true commuter engine. The Sonic is driven by a forward wheel drive to improve the overall fuel efficiency even more. Given all of the fuel-saving measures, you can expect around 28 MPG in the city and 37 MPG on the highway, making it one of the better subcompact cars to consider if you want to go small without spending the extra money on a hybrid or all-electric vehicle. The Sonic’s drivetrain pairs with a six-speed manual transmission, making it one of the few cars still offering a manual option. There’s a lot about a Carl Black dealership that makes us competitively unique. Compared to our competition, we take a few extra steps to make sure we can provide any and all of the assistance you may need or want when you come for a visit. This all starts with our expansive new and used vehicle inventory you can check out anytime you want online or in person. Knowing that each customer requires something different out of a vehicle, we curate and maintain this inventory with the goal of giving you a variety of options to consider and test drive. We know that finding the right vehicle is not always easy if you don’t know what you want. That is why we also provide a lot of assistance in terms of general help, research, auto mechanic services, and much more. 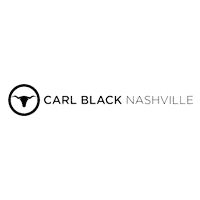 The next time you need to find your dream vehicle quickly, visit Carl Black in Nashville to get the best service around.